Poverty campaigners say a scheme providing emergency help for the poorest families in East Sussex has had its funding slashed by more than 86 per cent since launching five years ago. According to figures provided by campaigners Church Action on Poverty, the Discretionary East Sussex Support Scheme has seen its funding fall from more than £1.2m in 2013/14 to just £166,000 in 2018/19. But East Sussex County Council says the funding drop comes after local cuts of more than £130m in the last decade, with the authority’s remaining funds more and more focused on providing statutory services. 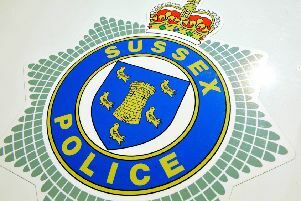 A council spokesman said: “One of the service areas we have had to reduce funding for is the Discretionary East Sussex Support Scheme, and this has been achieved by making significant reductions in staffing and targeting remaining funds on those most in need of immediate short-term support – particularly those in need of rent deposits and advance rent. “We do acknowledge the impact the reduction in funding has had on our ability to assist people in hardship, but unfortunately the significant and increasing financial pressures we’re facing mean we have no choice but to make difficult decisions. The scheme, which replaced the national Social Fund in 2013, provides emergency loans to help the county’s poorest residents when they face a crisis – such as fire, flood or the sudden death of a family member. It also provides community care grants to help people receiving state benefits, who need extra financial help to them live independently or continue living independently. While the Government provided full funding for the scheme for 2013/14 and 2014/15, the cost since has been met from East Sussex County Council’s core funding alone. Campaigners say the council received more £1.2m for the scheme in 2013/14, but budgeted only £166,000 for it in 2018/19. This amounts to a 86 per cent funding cut, they say. But a spokesman for East Sussex County Council confirmed the figure rose slightly in the 2019/20 budget to £167,000. According to campaigners, around 77 per cent of people who received help to pay for food or utilities through the scheme in East Sussex had applied after experiencing issues with their benefit payments. There was also rise in applications in Hastings following the roll out of Universal Credit there, campaigners say. 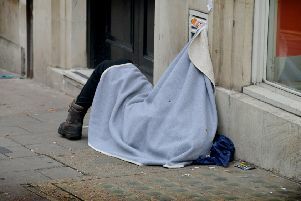 The figures for East Sussex have been released as part of a national campaign by Church Action on Poverty. Through Freedom of Information requests to more than 150 councils in England, campaigners found funding for the Local Welfare Assistance schemes had dropped by an average of 72.5 per cent since 2013/14. At least 28 councils had closed their schemes completely in that time. A spokesman for Church Action on Poverty said: “It’s vital that there are lifelines for people to reach for when they are swept into crisis. “Our welfare system used to provide such a support, through the national Social Fund, but since responsibility was passed to councils in 2013, local welfare has become fragmented and threadbare. “[Since 2013/14] 28 councils have closed their funds completely and budgets have been reduced almost everywhere else. “In 2012/13, crisis support in England totalled £240m. Researchers estimate last year’s total budget was only £46.6m. To address their concerns, the campaign group is calling on the Government to make it a statutory duty for councils to provide a Local Welfare Assistance Scheme and provide ringfenced funding to run them. It also calls on the Government to work with the Local Government Association and councils to identify and set out the best practice for running the schemes.